In the industrial environment, it is inevitable to follow the industry standards and rules. The foremost rule is to emit the lowest level of noise from the operating unit. In order to make this happen, industries install acoustic enclosures. Acoustic enclosures play a significant role to reduce the level of noise and protect the working staff from severe health issues. The most applauding characteristic of these enclosures is that they control noise from noisy machinery without causing any adverse effect on their efficiency or working. 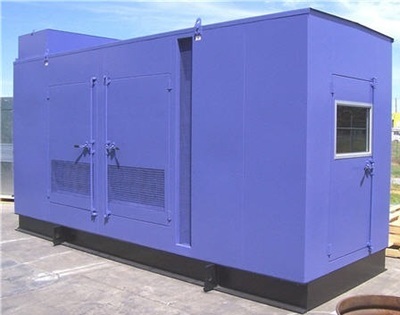 In addition to this, these types of special enclosures are available in various colors and standard finishes that include stainless steel, vinyl coated steel, galvanized steel, syntha pulvin, aluminum and polyester powder coating (PPC). Depending upon the level of noise and specific requirements of the industry, these materials are designed accordingly. Let’s take a look at the different applications of acoustic enclosures and their various benefits. Compressor enclosures - These types of enclosures are widely considered to be the finest option to reduce the heavy noise of air compressors. They are used in the air products to minimize the level of noise from their compressors. Sliding acoustic cover- These covers possess emissions of noise from the industrial plant. Therefore, one can easily gain access to it at the time of replacement or maintenance. Anybody can smoothly maneuver the sliding sections without any hassles. These are very easy to install and maintain. 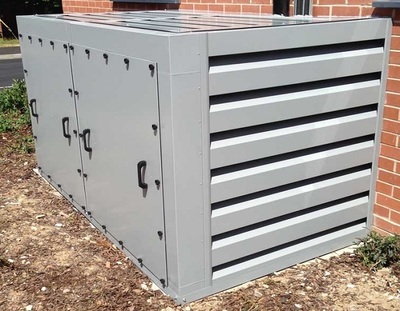 Gas and diesel generator enclosures- If you are worried about the loud noise of those giant generators then get hold of diesel generator enclosures. They act as a shield and reduce the noise coming out of machinery and generators. These are professionally designed for this specific use. Personnel noise shelters- This plays a very pivotal role in keeping the concentration of staff intact while working. Yes, they help in minimizing the noise and maintaining a noiseless ambiance for the staff operating at the industrial operation. The foremost component of such type of enclosures is the sound absorptive panels. These panels are designed in a way in which they control the noise and reverberations taking place inside any building. These panels can be attached to the walls without any hassles or one can also hang them from ceilings. In industrial environments, these panels are required to a greater extent. To move on, acoustic doors are the other components that minimize the level of noise coming from the production areas. It plays an essential role in safeguarding the nearby communities or residence from the harmful effects of noise pollution. Acoustic windows are also significant, as they help in getting visual access to the process of manufacturing and production lines. It allows the access from safe distance and thus, provides protection from heavy noise of equipment and machinery. Acoustic enclosures can be used for both outdoor and indoor applications. 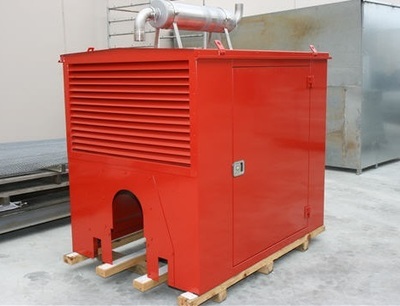 These enclosures possess an air inlet drive for the purpose of combustion. All the major companies offering acoustic enclosures offer full installation service at affordable costs. It has integration of air conditioning, lighting, firefighting systems etc. The enclosures also have shock resistant and noise controlled systems that are very effective. The maintenance personnel and operators have an easy access to these acoustic enclosures. When using a manufacturer for your acoustic enclosure, keep the reputation, experience, and warranty offered in mind. Like with everything else, acoustic enclosures come in different quality levels, and you want to select the best Acoustic enclosures one of the maximum benefit.